Course Website: Official Website - Visit Medinah Country Club (No. 3)'s official website by clicking on the link provided. 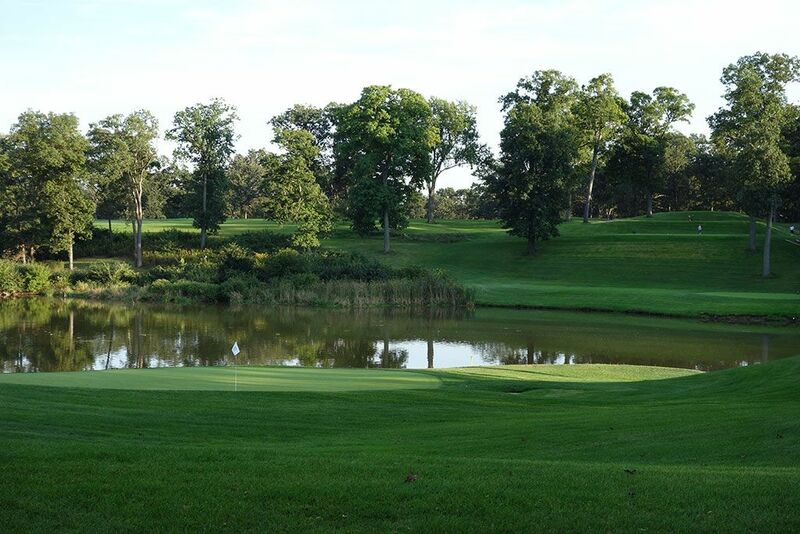 Accolades: Ranked 5th in Illinois on Golf Course Gurus' Best in State list. 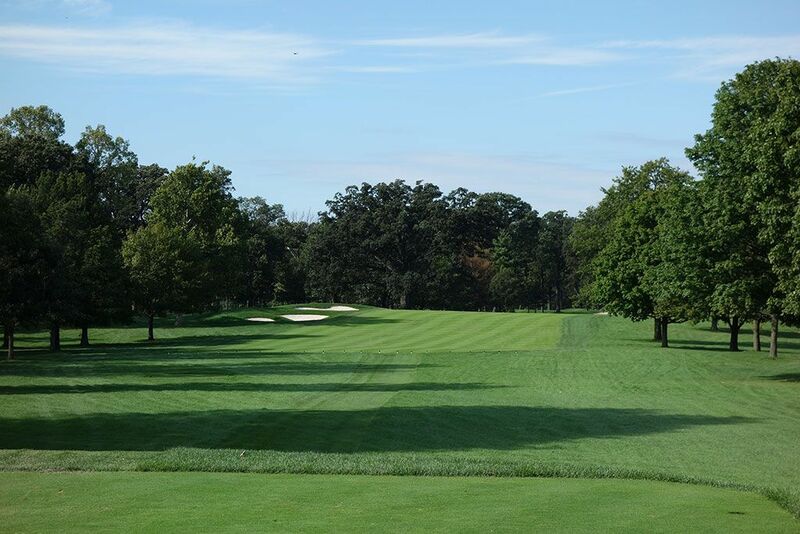 What to Expect: Medinah is one of the best known courses in the world due to owning one of the most impressive resumes relative to hosting championship golf that can be found. 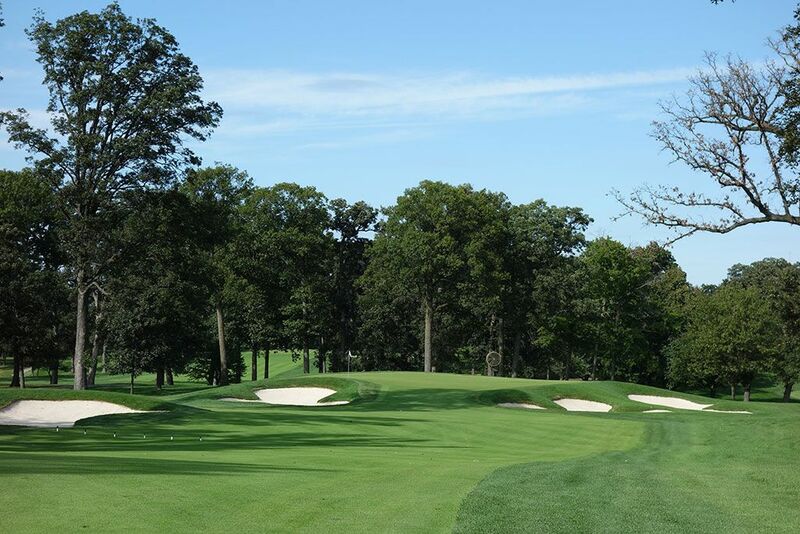 If there is a major golf event worth hosting, Medinah has punched that notch in its belt. And why not? The tree lined course is designed to test the best players in the world and features an exceptional closing stretch of holes. They lay claim to the most impressive clubhouse I have ever seen and boast a massive locker room with the best attendant in the country. Medinah's proximity to one of America's biggest and best sports towns makes it a no-brainer for generating interest, support, and money. The club boasts three courses with No. 3 being the most famous by far although No. 1 is generating increased interest after Tom Doak was hired to do a redesign. The courses are best enjoyed by walking alongside a caddie although carts are available to ride in as well. Course No. 3 is a great track with solid holes from start to finish however the 12th and 16th are the only ones I would consider world class. Three of the par 3s have a strikingly similar look and feel playing over water which is reminiscent of the Highlands course at Atlanta Athletic Club; each one-shotter is impressive individually but becomes a bit monotonous when the same design philosophy is incorporated that many times in the round. Midway through the round golfers play along the perimeter of the property which parallels a very busy road that generates a distracting level of traffic noise. 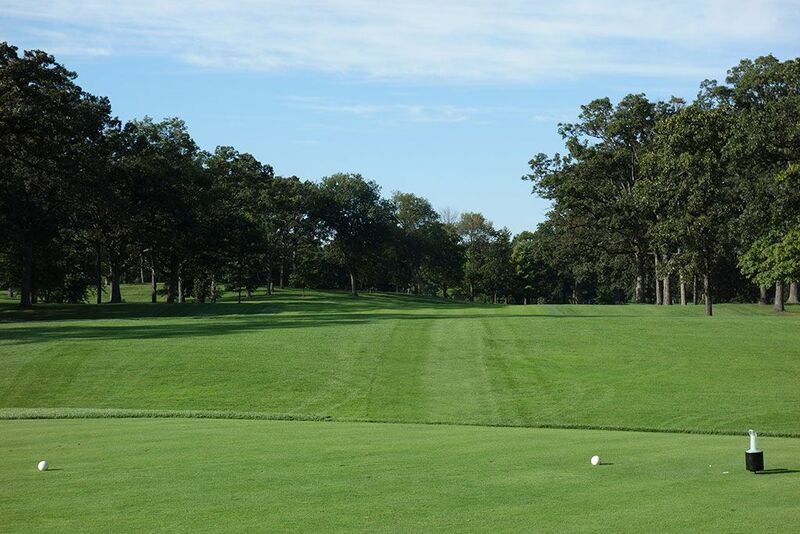 As one would expect, the course is maintained in great condition which can be a difficult feat on a course with as many large, mature trees as Medinah features. Signature Hole: 13th Hole – 245 Yard Par 3 – The 17th might get the most hype due to the drama it can create towards the end of a match or tournament, but the 13th is the better hole. This lengthy challenge is one of three one-shotters that play over an arm of Lake Kadijah and strike fear into golfers. The rounded-arrowhead shaped green is front by two relatively deep bunkers while a third bunker is tucked into the hillside back and to the left of the green. This hole was made famous in 1999 during the PGA Championship when Sergio Garcia carded a birdie while Tiger Woods went long with his tee shot and suffered a double bogey. It was at that moment the tournament changed from a runaway win for Tiger to one of the epic duels of our time between the 19 year old Spaniard and the world's #1 ranked golfer. 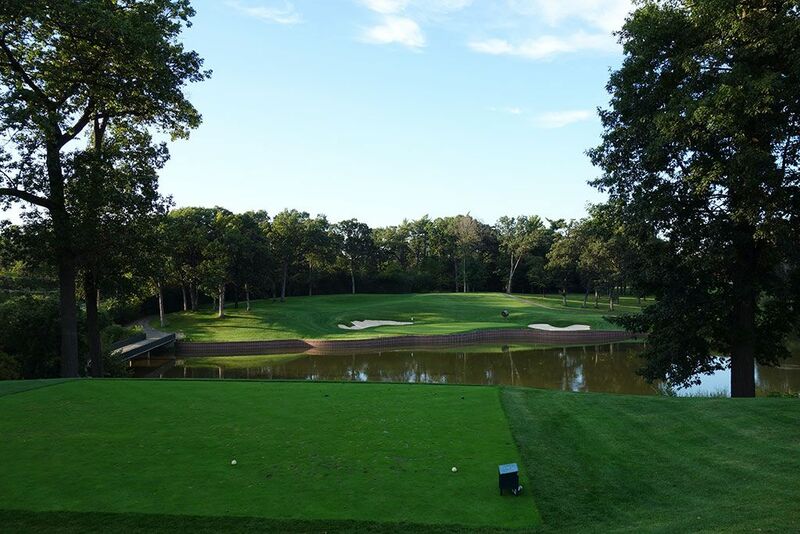 Best Par 3: 17th Hole – 193 Yards – A major turning point during the 2012 Ryder Cup occurred here when Phil Mickelson nearly chipped in from off the back of the green to win his match before Justin Rose drained a 40 footer to win the hole and tie up the match. Rose went on to win the 18th hole and a full point for Team Europe; the total point difference between Europe and America that year. This dramatic downhill par three plays over Lake Kadijah where the winds tend to swirl as much as the nerves. The wide and shallow green is reminiscent of Augusta National 12th hole though the bunkering is completely different. Shorter par threes are one of my favorite features at a golf course as one of the final holes and Medinah comes through with an excellent offering here. Best Par 4: 16th Hole – 482 Yards – The 16th hole was made famous by Sergio Garcia during the 1999 PGA Championship when he closed his eyes and swung away with a 6-iron when his ball was perched up next to a tree right of the fairway. He sprinted up the fairway and jumped in order to see his ball land on the green which led to a par and drew one stroke closer to Tiger Woods. 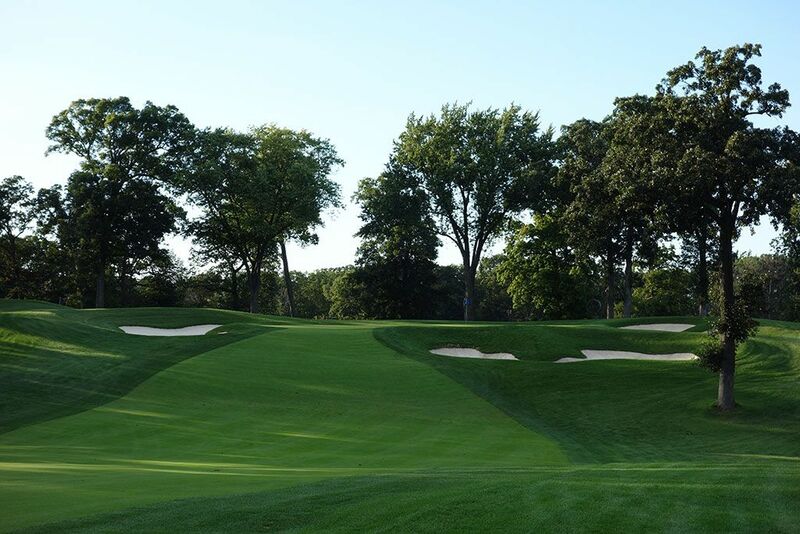 Not only is the hole famous, it is one of the best designs at Medinah. This par four doglegs hard left before climbing up a steep hill to the greensite. 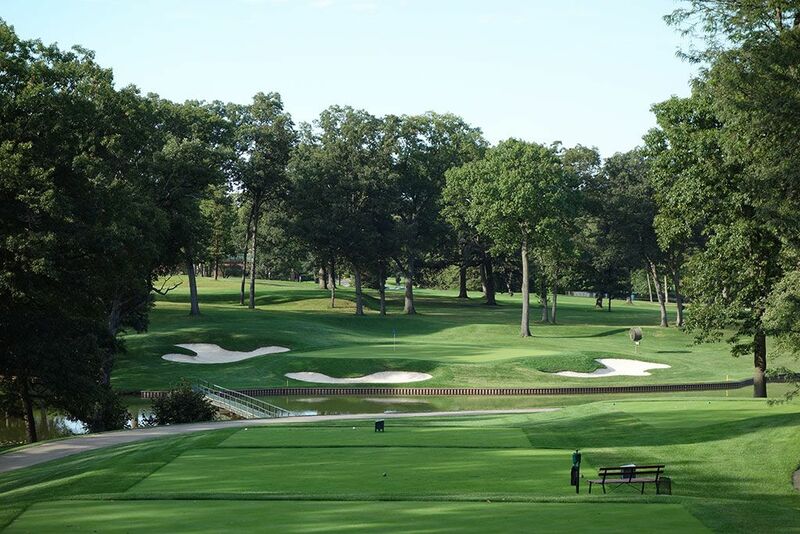 It is the toughest 1-2 combination on the course and stands as Medinah's stiffest test and finest hole. 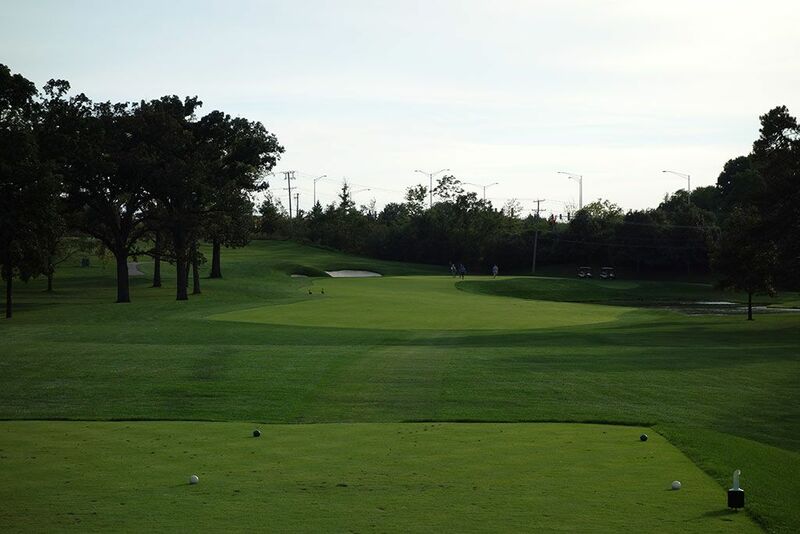 Best Par 5: 7th Hole – 617 Yards – This is a long par five that requires you to be on top of your game from start to finish. This fairway slowly but surely bends to the right throughout the hole and narrows up near the green. The trio of deep bunkers fronting the green stand as a final gut check when attacking the putting surface that is much more generous deep than it is in front. As a side note, the oldest trees on the property are located on the left side of this hole with some dating back over 350 years. Birdie Time: 15th Hole – 390 Yard Par 4 – The shortest par four, and frankly one of the least inspiring holes, on the course is the 15th. A pond rests off to the right of the landing zone and marks the only spot you don't want to hit it on this grip-it-and-rip-it hole. The slightly raised green is an easy target that should allow you to go pin seeking. Without a doubt the easiest hole on the course, you'll need to pick up a stroke here before heading into the challening final three holes. Bogey Beware: 12th Hole – 476 Yard Par 4 – The 12th hole is perhaps the most "wow" offering on the course. 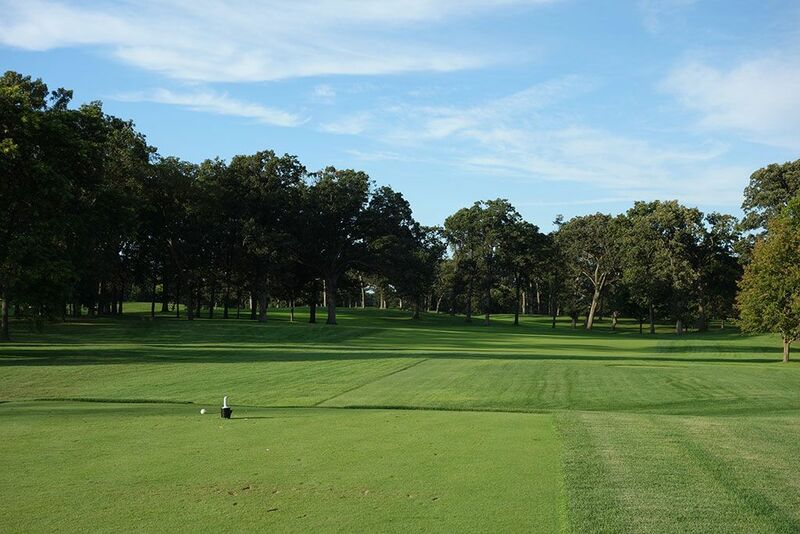 The tee shot is fairly straightforward though players may not realize on the tee that a shot to the left half of the fairway will take some overhanging trees out of play. The magic on this hole happens on the approach shot where the elevated green features a steep shaved slope falling off to the right towards a pond. With oak trees protecting the left side of the green and death looming right, this is the most difficult approach shot of the day and one of Medinah's best photo opportunities. 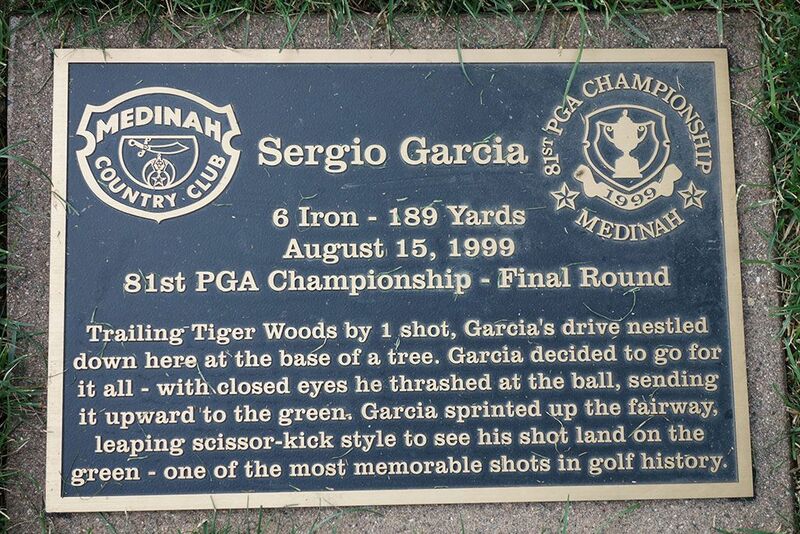 It was the bogey here and the double bogey on 13 that opened the door for Sergio to make a run at Tiger in the 1999 PGA Championship which Tiger eventually won by a single stroke over the young Spaniard.